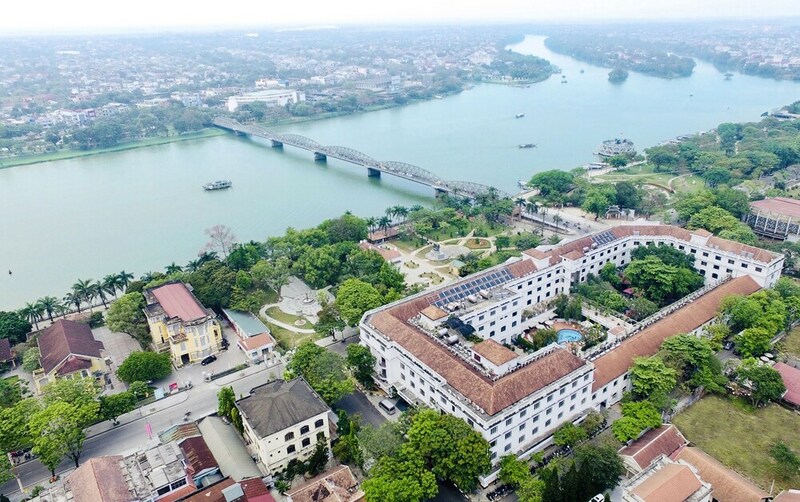 The best hotels in Hue have built up around the many cultural and religious monuments in the city, offering guests refined stays and convenient sightseeing opportunities. Hue was the seat of royal power for over 140 years, and is famously registered as a UNESCO World Heritage Site with plenty of history to discover. This ancient city is considered a centre of fashion, cuisine and Buddhism in Vietnam, captivating many visitors. Hue’s best hotels have been selected because of excellent customer feedback, professional service and a full range of in-house facilities. Whether you prefer to stay close to the banks of the Perfume River, or up in the old city, close to the remains of the Imperial City, there is a hotel for you in this list of the most popular Hue hotels.